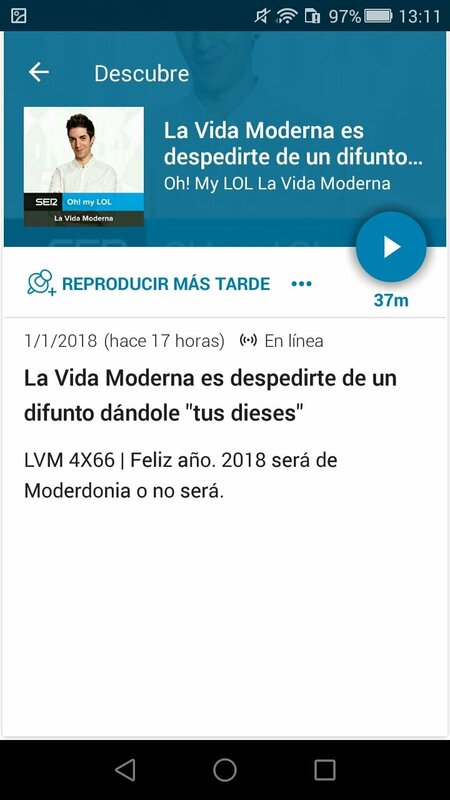 The Internet and smartphones are helping us to never miss out on any of our favorite radio programs that we can now listen to wherever we go, whenever we fancy, whilst we're doing whatever we want. 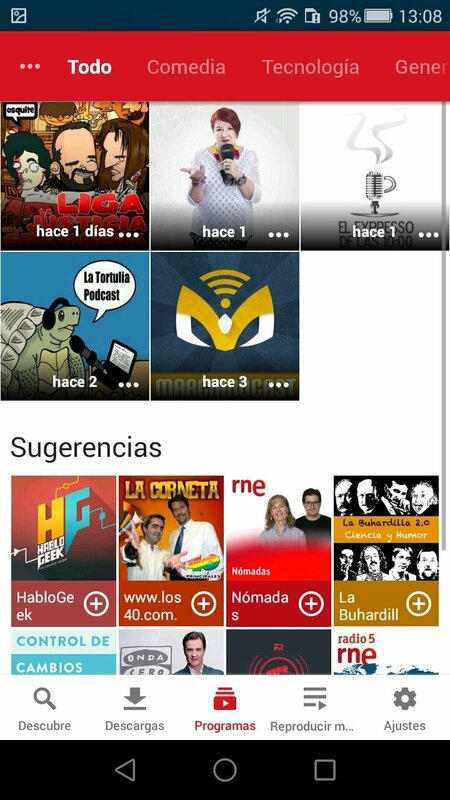 Thanks to apps of the likes iVoox you'll no longer miss any of your favorite music programs, political debates or sports shows. 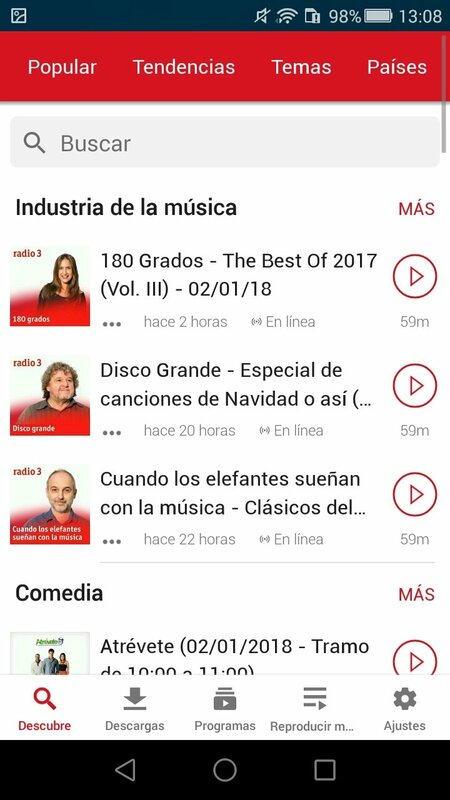 But in the world of podcasts, there's life beyond the above-mentioned app: Podcast Player FM for Android is an app that includes over 300,000 programs that you can explore by category and download or listen online from your phone. 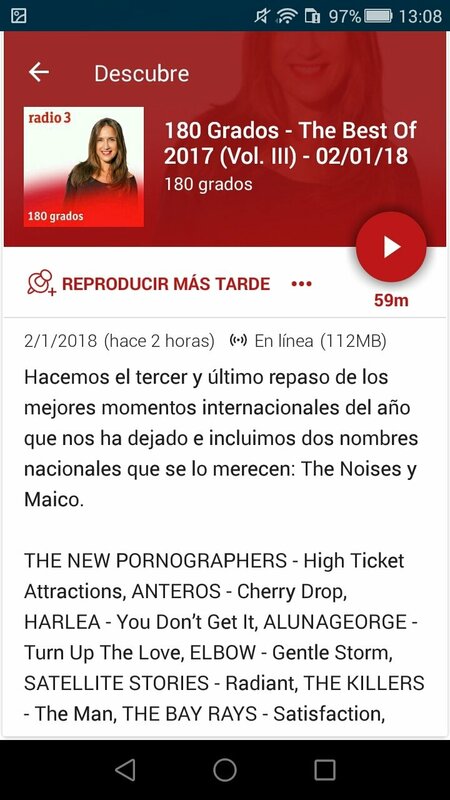 It's an app that's 100% free of charge (although it does include certain premium functions) that offers you free access to as many radio programs as you can imagine, from both professional radio stations as well as those published by amateur enthusiasts of different topics. Explore its dozens of thousands of podcasts. Download podcasts for when you're offline. 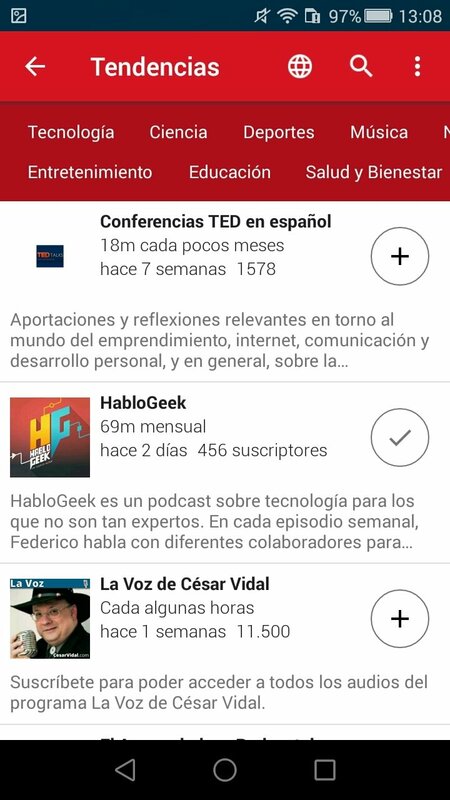 Find the best podcasts from the Discover tab and come across suggestions based on the topics you're interested in. Save your downloads on your phone or on your device's SD card. 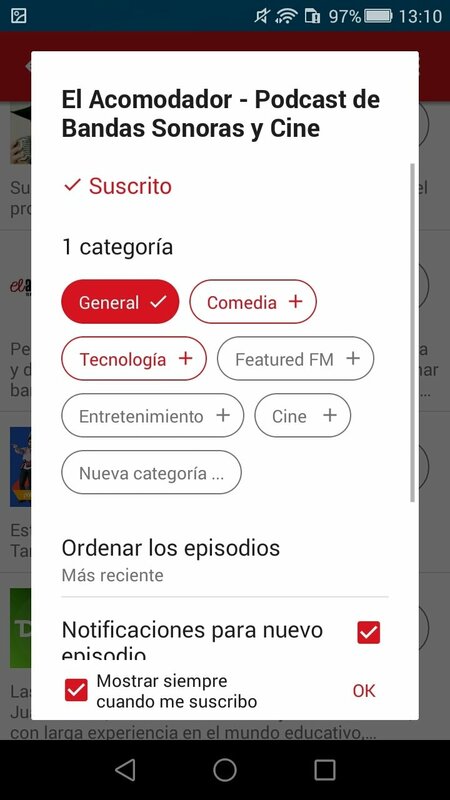 Create categories to organize all the radio programs you follow. Handle the speed control from the advanced playback functions and solve any audio lags or quality problems. Timer to schedule when to switch off the device to save battery. 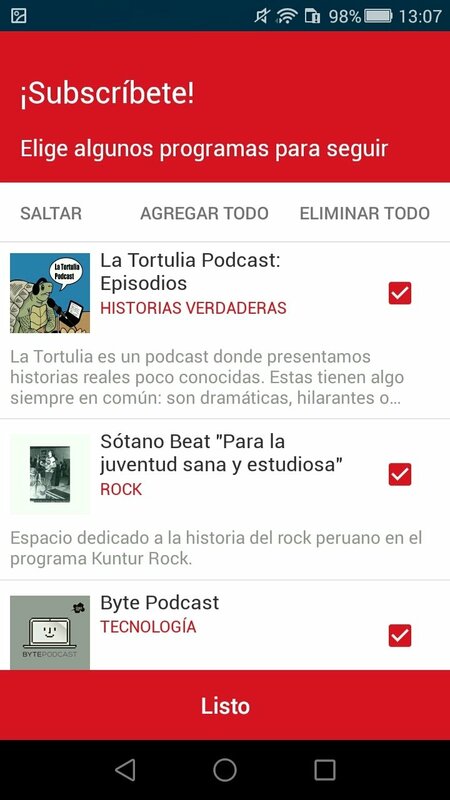 Access your history of podcasts played. 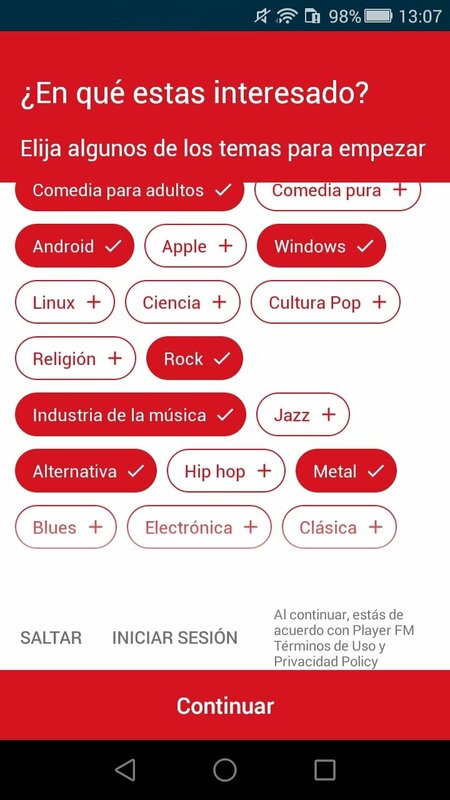 Browse through dozens of categories and subscribe to the programs you like the most. Sync your subscriptions between different devices.